Olde Good Things has spent the last year seeking out, salvaging, and repurposing antique and vintage materials, furniture, and other wonderful things. Many of the things we’ve uncovered have found homes with our faithful and delighted customers. Unfortunately, many of the things we’ve found are still waiting in our warehouse and stores to go to that one home where they will be loved and cherished. This holiday season why not give one or two of these items a forever home? Do you have difficulty thinking up gift ideas for that special someone? If you want to find that perfect holiday gift for the family member who has special tastes, you need to consider one of these following items as a brilliant gift. 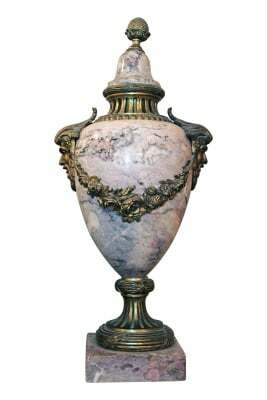 This French urn is a breathtaking piece of antique art. Fashioned from marble and caressed with gold accents, this is the perfect holiday gift for the art lover in your life. While it is an old piece, it is only on sale for a short time. 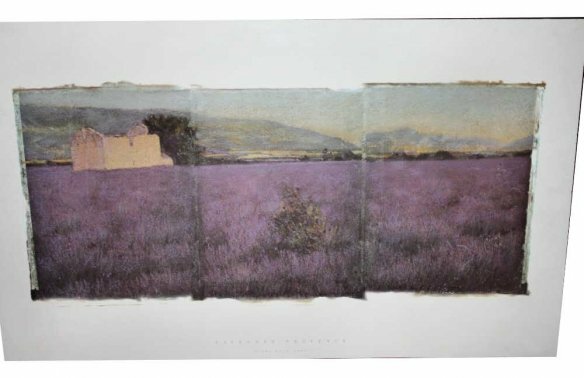 This gorgeous purple hued masterpiece is an original Linda Cook lithograph (1993) entitled, “Lavender Provence.” This is a gift that keeps on giving; it will be the centerpiece of many holiday conversations. This item is on sale just in time for the intrepid holiday shopper. Oohs and aahs included. The holidays shouldn’t be fraught with frustrations; they should be filled with happy shoppers and even happier gift recipients. Shop happy and make happy memories when you shop at one of our locations. We at Olde Good Things want to wish you and your loved ones a Happy Holidays and a prosperous New Year.